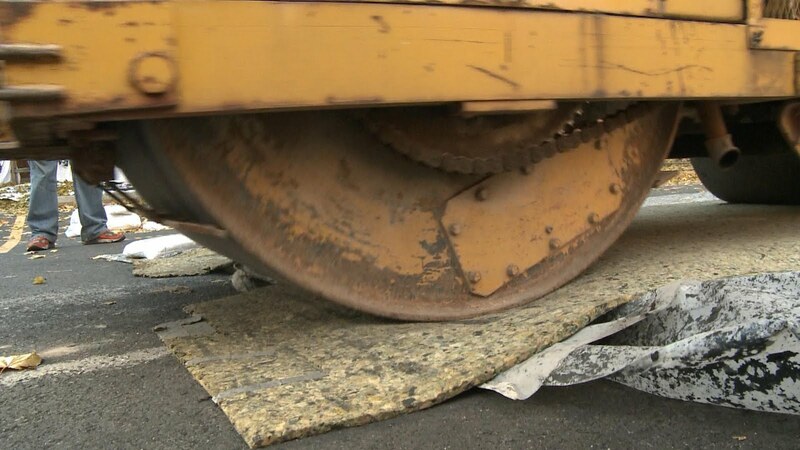 Find out how the University of Montana students living near the northside railroad tracks deal with coal dust from passing trains and learn when UM police officers decide to use tasers on this week's edition of UM News. 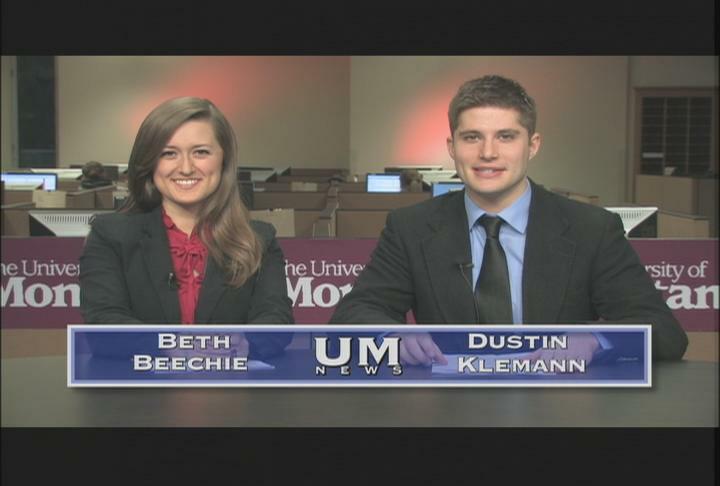 Broadcast journalism seniors Beth Beechie and Dustin Klemann anchored today's newscast. Katherine Kettering produced the show; and Dizhi Ge directed. UM News airs Thursday mornings at 8:25 a.m. on KPAX-TV in Missoula and KAJ-TV in Kalispell. UM News is a production of the Department of Radio-Television and the School of Journalism at the University of Montana. 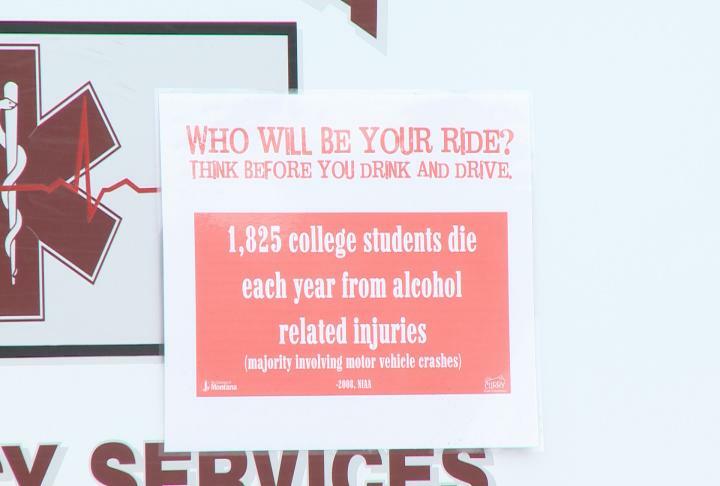 Peers Reaching Out, or PROs at the University of Montana works to educate students about various health and safety issues including the dangers of drunk driving. According to their data, 1825 college students die each year from alcohol related injuries. They say the majority of those are due to car crashes. UM News reporter Tara Oster and photographer Bernie Riggs talked with the PROs to see how they educate students about this issue. Residents aren't the only ones who have staked their claims to their homes. Coal dust has nestled its way into their homes as a permanent, but unwelcome roommate. 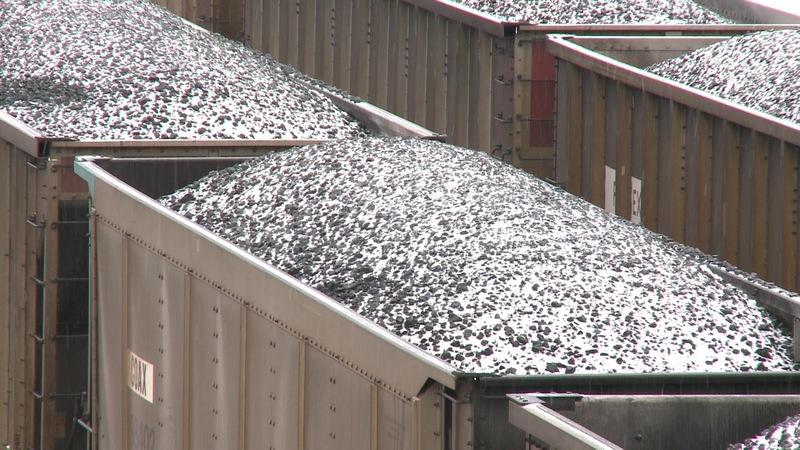 UM News reporter Stephanie Hansen and photographer Scott Ranf found out how coal is currently affecting students who live near the tracks. Arch Coal contributes 16 percent of America's annual coal, making them the second largest coal producer in the U.S. BNSF and Montana Rail link. would be shipping the coal. The recent tasing of University of Montana football players and two more tasings by Missoula police over the weekend have raised questions about the use of the device. 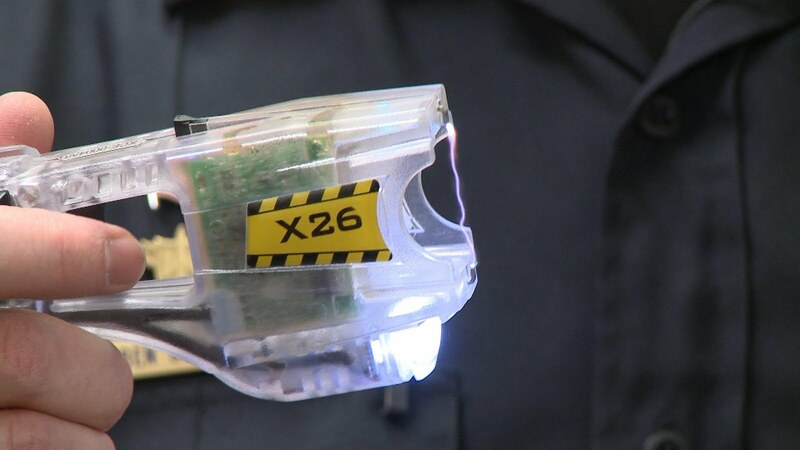 Police officers at the UM's Office of Public Safety and the Missoula Police Department use tasers to protect the public. 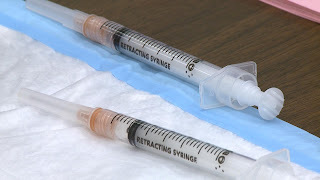 Reporter Emily Foster and photographer Brad Peers found out when officers can legally use them and just how painful their sting feels. 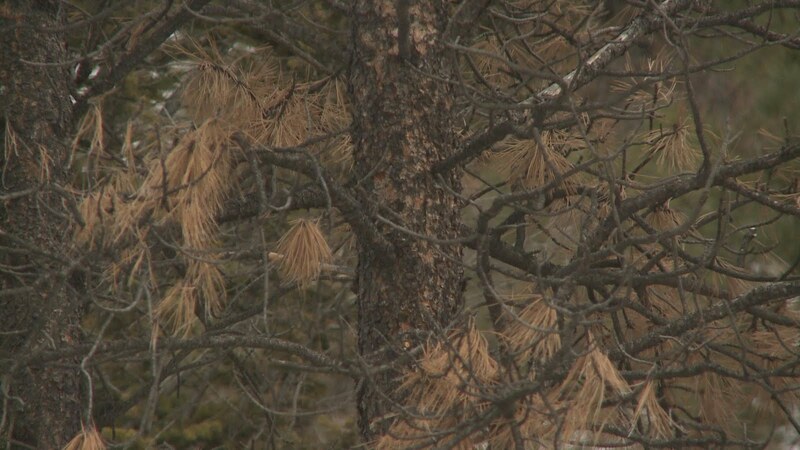 Montana landowners fight back against the Mountain Pine Beetle. Montana land owner, Karole Lee, says it's important that land owners remember that they the stewards of the land. Lee owns five and a half acres in the Clancy area and says she strives to maintain the trees on her property; because healthier trees are less likely to be infested by mountain pine beetles. Lee advises other land owners to keep their trees well watered, as well as to remove the smaller weaker trees to enable the larger healthier ones to grow. UM doctoral student and pine beetle expert, Ryan Bracewell, says it's important that land owners can identify the trees on their land, and how susceptible they are to pine beetle infestation. Reporter and photographer Faith Cronin and photographer Scott Ranf dug a little deeper to find out what methods land owners can rely on to get rid of pine beetle infestations. 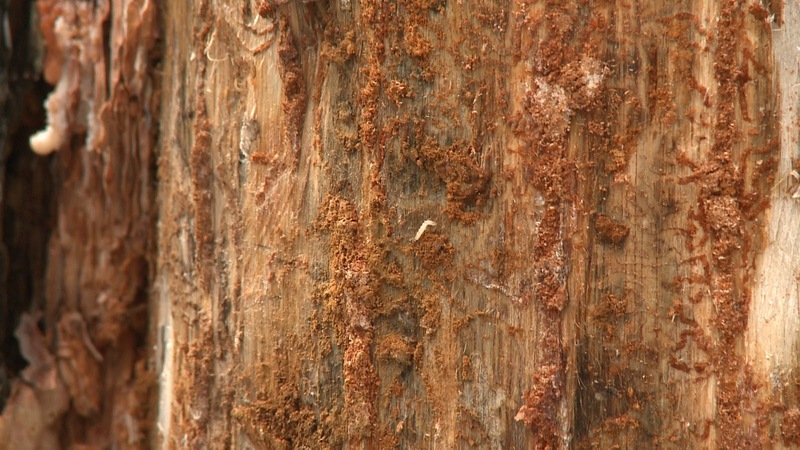 To learn more about the mountain pine beetle you can watch Part I of this two part story or visit the Forest Service website. Cheryl Cowan said her life's been an emotional roller coaster ever since she found out her dad was diagnosed with cancer in 2009. He went into remission but found out he needed a bone marrow transplant.The family had his only brother tested, but he wasn't a match. According to marrow.org, seven out of ten patients won't find a match among family members. Two months ago, the Cowans got a phone call that changed their lives. Nurses told the family that Tim Cowan was going to have a "second birthday." They found a perfect match for his marrow transplant. UM Pharmacy students are working to raise awareness about the need for bone marrow donors by putting on a marrow drive on December 8th in the UC. UM News' Beth Beechie and Matt DeBray sat down with the Cowans to see how finding a match can change lives. Find out how the University of Montana students teach us about pine beetles and how Missoula's homeless community shows off their creativity on this week's edition of UM News. Broadcast journalism seniors Tara Oster and Annemiek Wilson anchored today's newscast. Stephanie Hansen produced the show; and Bernie Riggs directed. UM News airs Thursday mornings at 8:25 a.m. on KPAX-TV in Missoula and KAJ-TV in Kalispell. UM News is a production of the Department of Radio-Television and the School of Journalism at the University of Montana. Montana Campus Compact aims to refund its Campus Corpsprogram, an Americorps service group, here at the University of Montana. Currently, Campus Corps has funding through August of 2012.The MTCC reapplies for this funding every three years. However, funding forAmericorps is in jeopardy due to a proposal from the US House ofRepresentatives to cut Americorps funding all together. Executive Director at MTCC, Dean McGovern, said the groupwill keep planning as if it will receive all funding. MTCC will know if itsgrant request was successful this May. In the meantime, there is another service group on campusthat has funding through 2014. Compact Service Corps is another student service group thatstrives to serve the Missoula community. However, instead of stipends that ahandful of students obtain through Campus Corps, Compact Service studentsreceive work study if they qualify. Compact Service Corps students also receiveeducation awards, like Campus Corps students, but do not have to volunteer asmany hours for these awards. McGovern said both programs are sound assets to theuniversity. He said he hopes to keep them around to serve the Missoulacommunity for years. 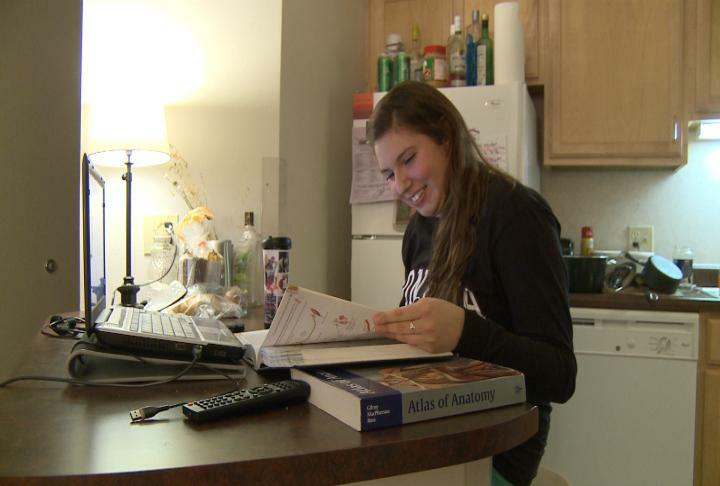 Senior Katelyn Carlson plans on taking a Wintersession course this January. Carlson said she's taking the class in order to graduate in four years. According to a study by the University of Montana, the class of 2009 had about one thousand students. 38.4 percent of those student graduated in four years or less. On average, it took the class of 2009 about five years to graduate with a bachelor's degree. UM News' Beth Beechie sat down with Carlson to see why graduating in four years is so important to her. According to data from the Montana Department of Transportation, there were 7,351 injury crashes in the state of Montana in 2009. Of those incidents, 1,319 or 17.9 percent involved alcohol. Two-hundred and two crashes were fatal. of those, 86 or 42.6 percent were alcohol related. The numbers don't differ too much in Missoula County. In 2009, out of 922 injury crashes, 147 or 15.9 percent were alcohol related. Out of the 13 fatal crashes of that year, 7 or 53.8 percent involved alcohol. Montana DOT data shows underage drivers are involved in alcohol or drug related crashes in 6.7 percent of all drug or alcohol related crashes. That's compared to 10.5 percent of the entire population of drivers; no matter their age. As of the 2008 data, the results for fatal crashes was much different. In alcohol related crashes involving an underage driver, 42.4 percent of those were fatal. Montana DOT says the rate for the entire population of drivers, no matter their age is 40.4 percent. UM News reporter Tara Oster and reporter/photographer Maegan Simmons went on a ride with Missoula Police to see how they work to decrease the number of DUIs and how they ultimately hope to decrease the number of alcohol related car-accident fatalities. UM Graduate students share research about the Mountain Pine Beetle with local landowners and concerned citizens. Beetle Expert and UM Doctoral Student, Ryan Bracewell, explains the impact the pine beetles have on our ecosystem. Trip participants met at the Montana Natural History Center and took a bus up to the Lubrecht Experimental Forest owned by the University of Montana. Photographer Scott Ranf and reporter Faith Cronin rode up with other beetle enthusiasts and experts to learn a little more about the little bug that's causing huge problems. For more general information about the Mountain Pine Bark Beetle click here. and be sure to stay tuned to part 2 with our developing story. The Poverello Center is known for its work with the homeless. 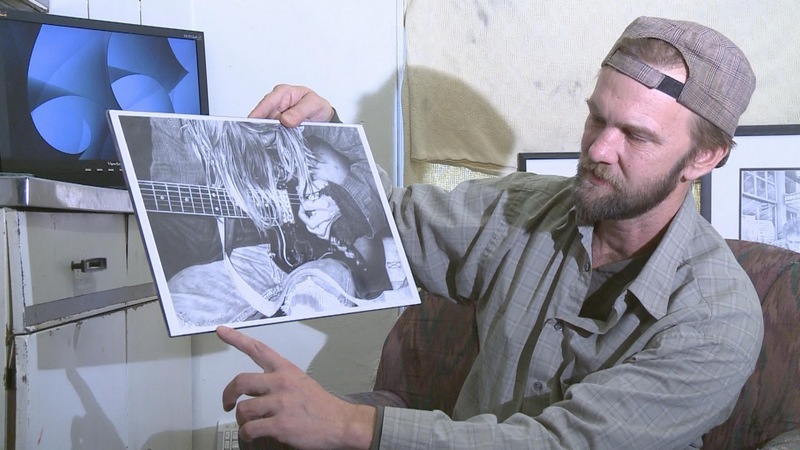 A new project gives the homeless in Missoula a chance to express themselves through poetry, essays, and drawings. "30 Days In" is the new literary magazine that can be purchased at the Poverello Center. UM News photographer Dizhi Ge and reporter Dustin Klemann met one man who's drawing ability is getting some exposure as a contributor to the new magazine. UM students can find many ways to bring their education into the real world. 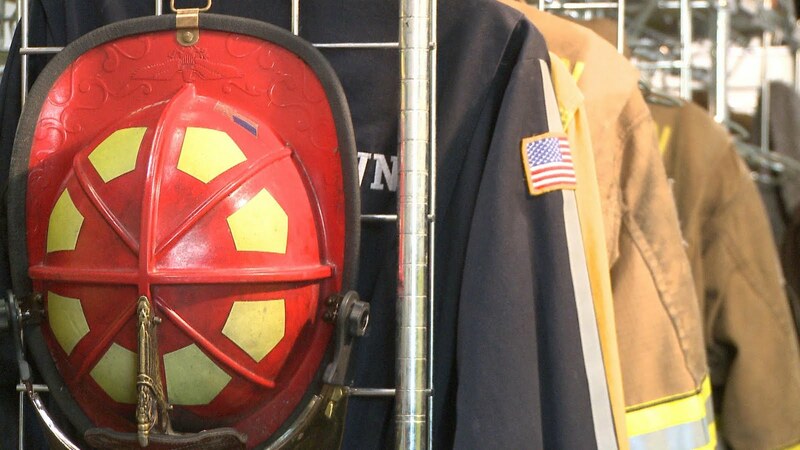 Reporter Annemiek Wilson and photographer Matt DeBray found out how one student juggles school, work, and volunteer fire fighting in Frenchtown. Click below to see video. 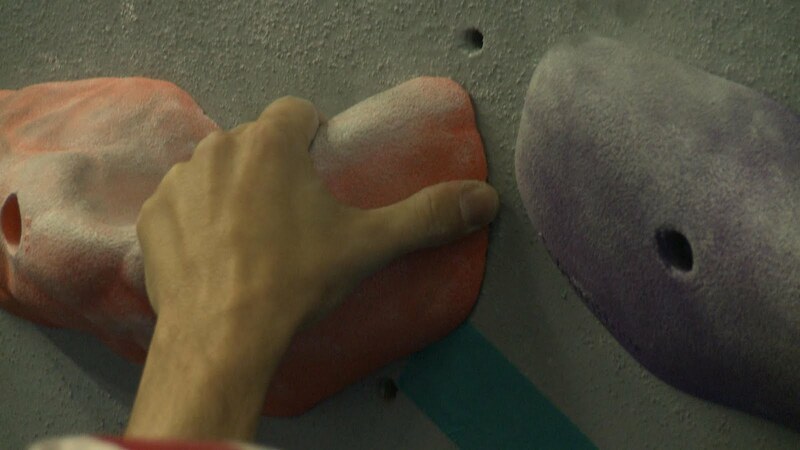 Some University of Montana students scale 16-foot tall walls at Freestone Climbing Gym to stay in shape. Reporter Emily Foster found out how the sport of climbing offers a unique challenge for adventurous athletes. Flying snow, dropping temperatures and dark skies before dinner can put anyone in a rut. Deer across Montana have a different outlook on the changing season. Rut is the breeding season for deer. Wildlife Biology PhD Student, Sonja Christensen, says Missoula area deer are at the peak of their rutting season. Christensen advises people to be aware of more aggressive behavior from deer over the next few weeks. Reporter Katherine Kettering found out what cautions people should take around deer this time of year. Check out the video below to learn more. 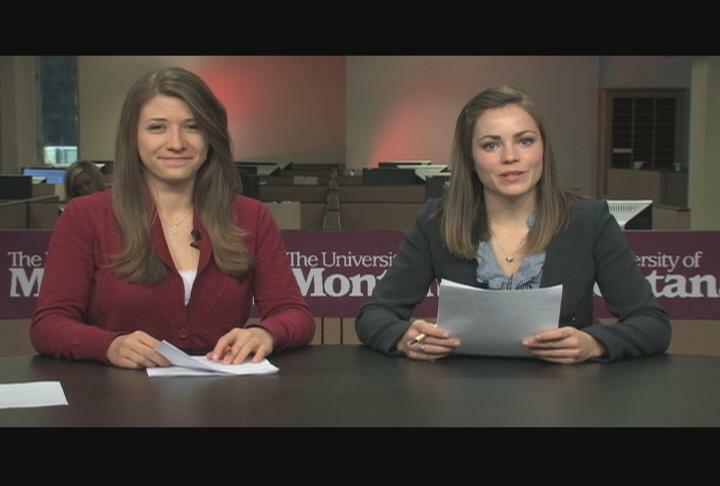 Find out how the University of Montana remembers veterans and gets in the spirit of giving on this week's edition of UM News. 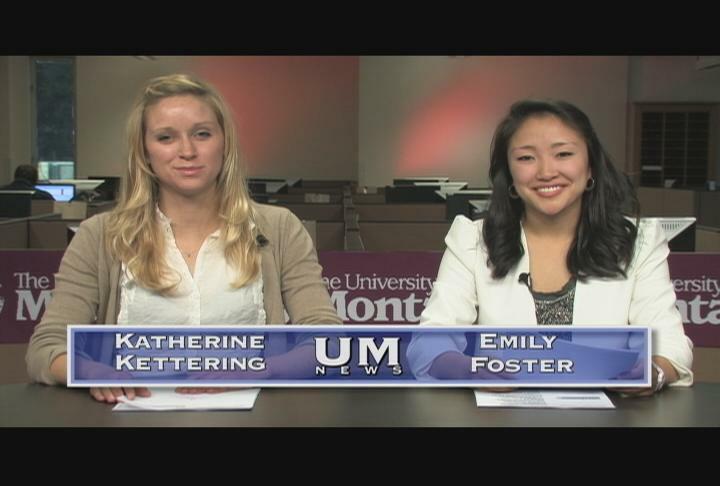 Broadcast journalism seniors Katherine Kettering and Emily Foster anchored today's newscast. Annemiek Wilson produced the show and Maegan Simmons directed. UM News airs Thursday mornings at 8:25 a.m. on KPAX-TV in Missoula and KAJ-TV in Kalispell. UM News is a production of the Department of Radio-Television and the School of Journalism at the University of Montana. University of Montana Wildlife Biology students have been working together with Fish Wildlife and Parks to man game check stations for over a decade. 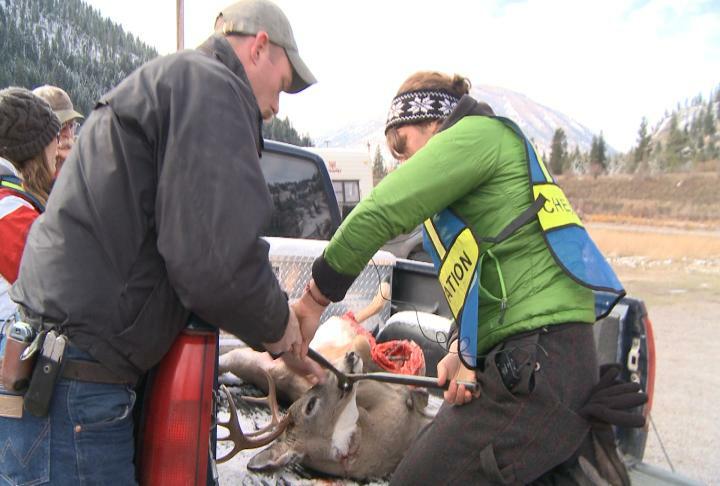 Students are taught by the biologists at each check station how to properly age wild game and the students assist FWP in obtaining data used to assess game population in Montana. 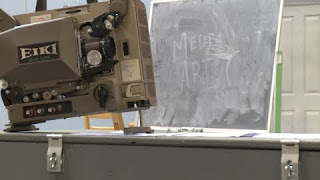 UM News Reporter Stephanie Hansen and photographer Matt DeBray went to the check station near Bonner to see what the students were learning first hand. The School of Media Arts at the University of Montana began their first annual Movie Fest. Students of the program entered in different projects ranging from animation and motion design to narrative and experimental. They demonstrate that you don't need to be in Hollywood to make high-quality material. UM News photographer Bernie Riggs and reporter Dustin Klemann got their popcorn ready for a look inside the program making projects possible on the silver screen. The Day of Dialogue drew hundreds of students to all sorts of talks and performances on campus. The Student Involvement Network and other volunteers worked for months to get the day underway. Coordinators of the day said a day like Day of Dialogue aims for students to hear different opinions but also embrace other ways to show diversity. 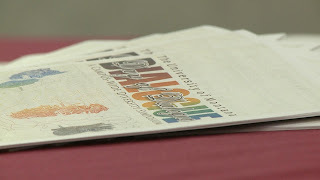 UM News' Beth Beechie and Brad Peers were there to see all different types of diversity. 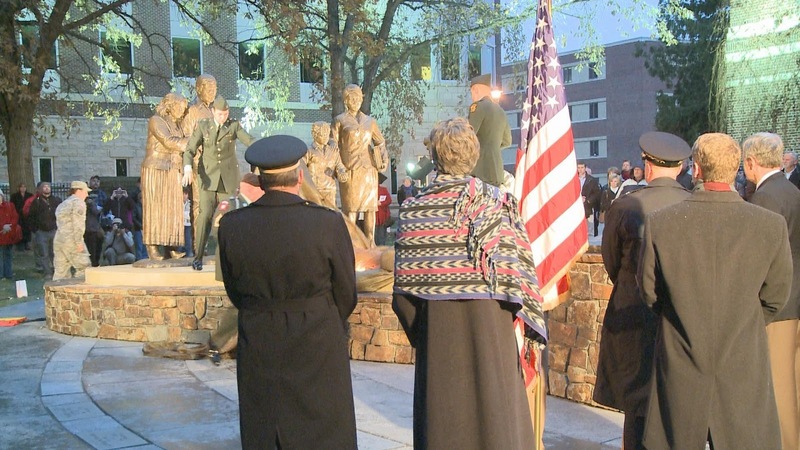 Sergeant Seth Phillips,a medic in the Army National Guard, attended the unveiling of the Grateful Nation Fallen Solider Memorial at the University of Montana. 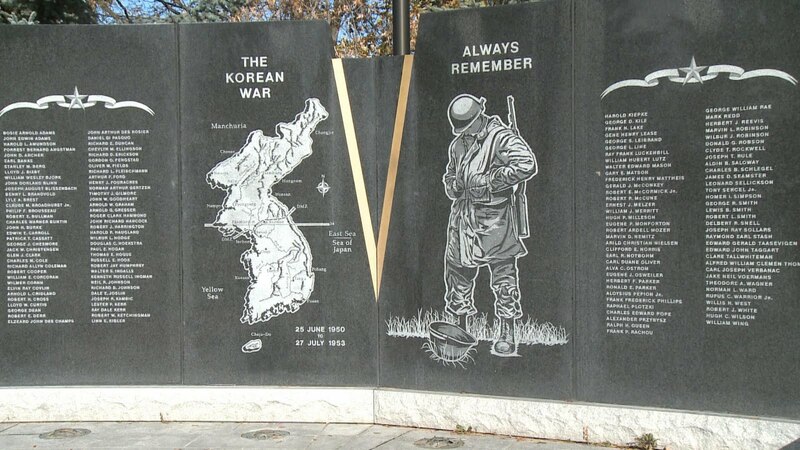 The memorialremembers 42 Montanans who died fighting for freedom. Hundreds turned out tohonor the memorial. Phillips says it is important for returning soldiers tomake the transition from combat back to civilian life. UM News reporter KatherineKettering and photographer Dizhi Ge found out how Phillips is making the transition. Click video to seemore. Montana has lost 42 of its own to the wars in Afghanistan and Iraq. 20 percent of Montana residents are war veterans, making it the second highest after North Dakota. Reporter Adrienne Ellsworth and photographer Katie Radford spoke with some Montana veterans to learn what the day of remembrance means to them. Volunteers toughed chilly temperatures to help collect toy and cash donations at the Grizzly football game November 5th. The Griz for Kids Toy Drive offers help to families in Western Montana during the Holiday season. This year they raised nearly $3,000 in cash donation and hundreds of toys. Toy drive coordinator, Sheila Callahan, says the goal is to make sure every child has a present under the tree. Former Griz Center, Chris Orwig, is thrilled the toy drive he started is still ongoing. For more information about receiving or donating to Griz for Kids click here. 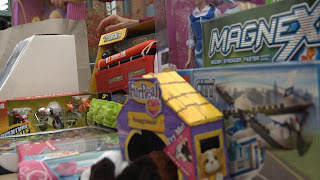 UM News reporter Faith Cronin and photographer Scott Ranf went down to see how many toys were collected. The Cat-Griz cross-state rivalry means more than athletic competition to many Montanans. 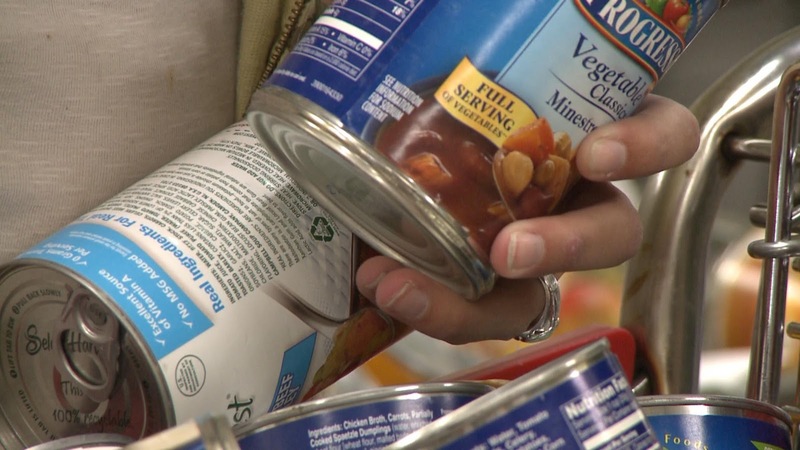 Reporter Emily Foster and photographer Brad Peers found out how a University of Montana food drive competition with Montana State University called "Can the Cats" feeds thousands of people in need in Missoula and Bozeman. 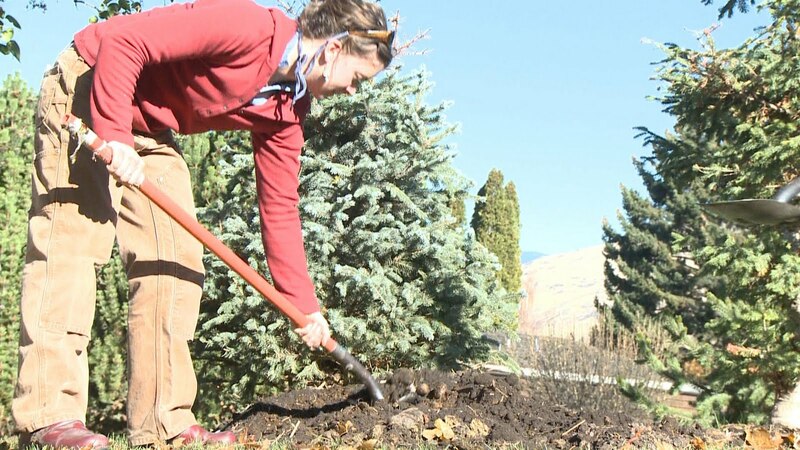 Find out why some University of Montana students still garden in November and how the university celebrates the Day of the Dead on this week’s edition of UM News. 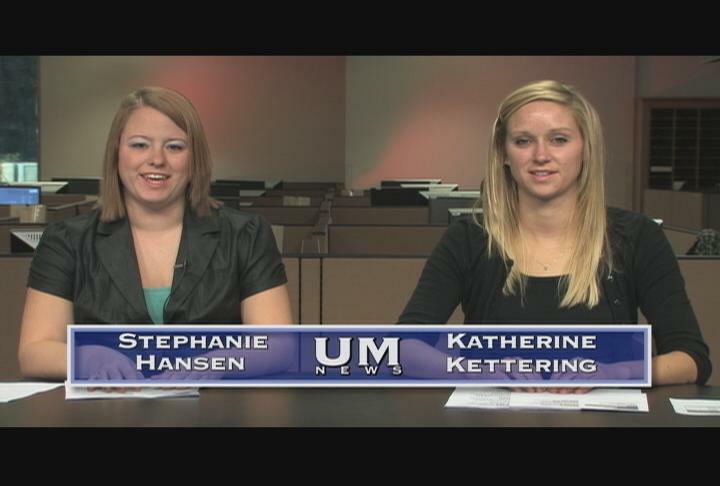 Senior broadcast journalism majors Stephanie Hansen and Katherine Kettering anchored the newscast. Emily Foster produced and Matt DeBray directed the show. UM News airs Thursday mornings at 8:25 a.m. on KPAX-TV in Missoula and KAJ-TV in Kalispell. UM News is a production of the Department of Radio-Television and the School of Journalism at the University of Montana. For the first time since 2008, the Griz landed a spot in the Big Sky Conference tournament. Finishing 6-11 overall and 3-3 in the conference, the Griz talk about new coach Mark Plakorus and how the team has evolved throughout the season. The tournament kicks off this Friday as the fourth-ranked Griz play against top seed Northern Colorado Bears. Reporter Dustin Klemann caught up with the women during one of their final practices and realized this team doesn't lack the confidence to win. The average Blood Alcohol Content or B.A.C. reading on DUI arrests in the state of Montana is .16. That’s twice the legal limit. The recent House Bill 106: The Montana 24/7 Sobriety Program Act and Senate Bill 15: The Aggravated DUI law works to reduce the number of drunk drivers in the state and increase punishments for repeat offenders. Under the 24/7 Sobriety Program, repeat offenders must subject themselves to a breathalyzer twice a day. If they test positive for alcohol, they will go to jail. The Aggravated DUI law increases penalties for those caught driving with a B.A.C. of .16 or higher. If convicted, that person could spend up to one year in jail. But how does a person know if they’ve reached .08? 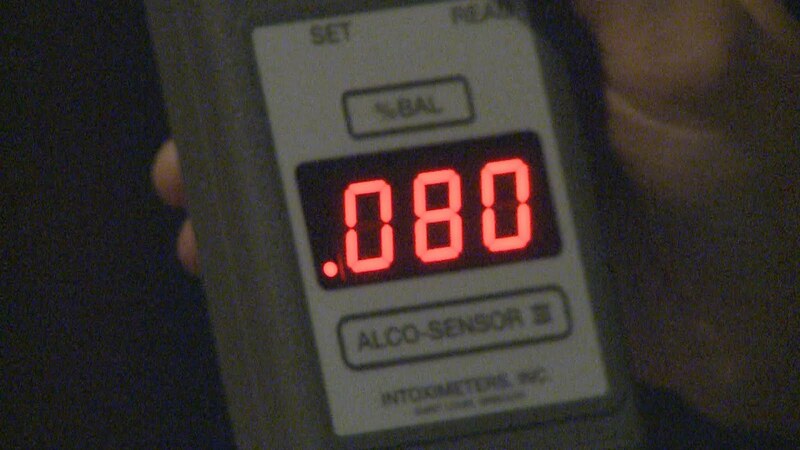 UM News reporter Tara Oster and photographer Maegan Simmons borrowed a breathalyzer, got some quick training from a police officer and did an experiment with two patrons at a local bar. The passing of a loved one in the U-S brings feelings of mourning and saddness, but in Mexico, it's a three-day long celebration. Dia De Los Muertos, or Day of the Dead celebrates the lives of family members who have passed on by creating larger than life memorials. In Missoula, where Hispanics make up three percent of the population, the Mexican holiday is celebrated by creating six-foot-tall wood carvings and printing them on to sheets. UM News Reporter Adrienne Ellsworth and Photographer Bernie Riggs learned how this Mexican holiday is bringing a little spice to the cold Montana winters. The finished products will hang in the Missoula Art Museum until next Friday. UM Student Group 1000 New Gardens is putting away their shovels for the season. Throughout spring and fall the group helps install sustainable food gardens in the Missoula Community. They installed 125 gardens in Missoula, and added 70 in Bozeman in the last three years. Reporter Annemiek Wilson and photographer Katie Radford found out how students are getting excited about going green. Click below to see video. The University of Montana College of Technology and the Curry Health Center teamed up to host the annual Fall WellCheck. 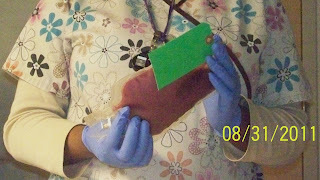 The WellCheck offered flu shots, bloodwork, and blood pressure testing. The event offers an opportunity for the nursing students to solidify their skills. Nursing Student Emily Miklautsch and Nursing Programing Director, Mary Nielsen talk about the benefits nursing students get from hands on experience. UM News reporter Katherine Kettering and photographer Scott Ranf bring us the story. One in three women and one in ten men are sexually assaulted nationwide every year. 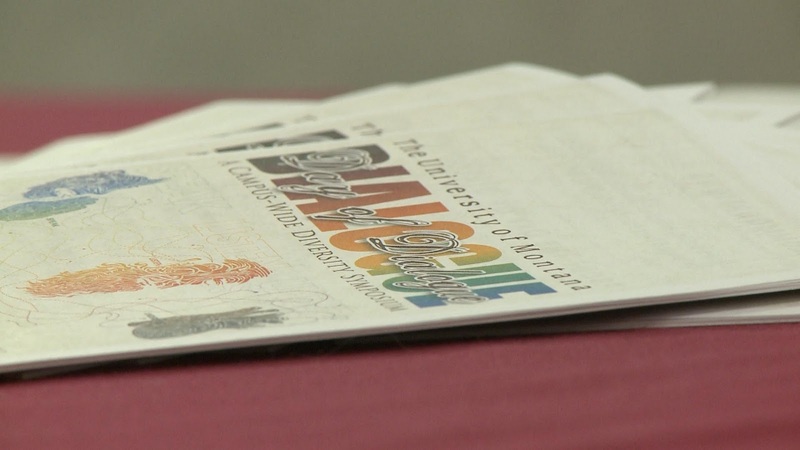 The University of Montana offers support to victims of sexual assault. UM News reporter Stephanie Hansen and photographer Dizhi Ge went to the University Center to find out how these victims cope with their experiences. 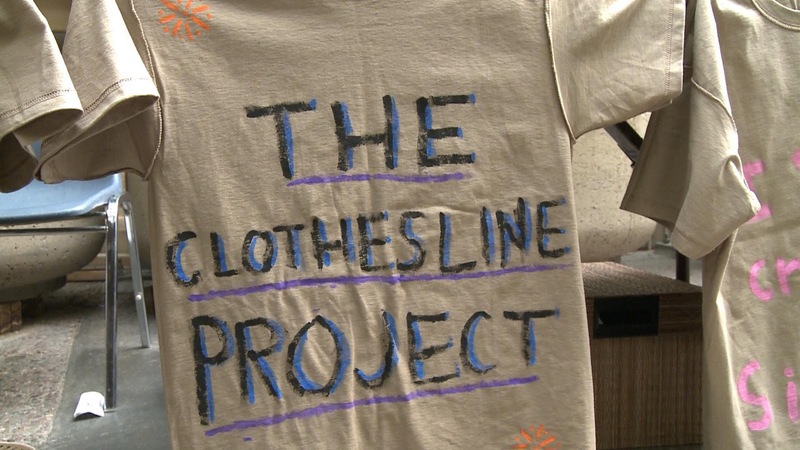 The student assault resource center provided t-shirts, paint, and brushes for an event called the Clothesline Project.The project provided an opportunity for sexual assault victims to paint shirts and share their experiences. The shirts will be displayed at the "Take Back The Night" march tomorrow night.